Also: I'm not a fan of capitalization and punctuation. On a more serious note, does Giant really expect to me to pay them so I can be walking advertisement for them? And worse yet, I'd be forced to embrace the hipster theme, which I just don't think I could personally pull off. Ugh. 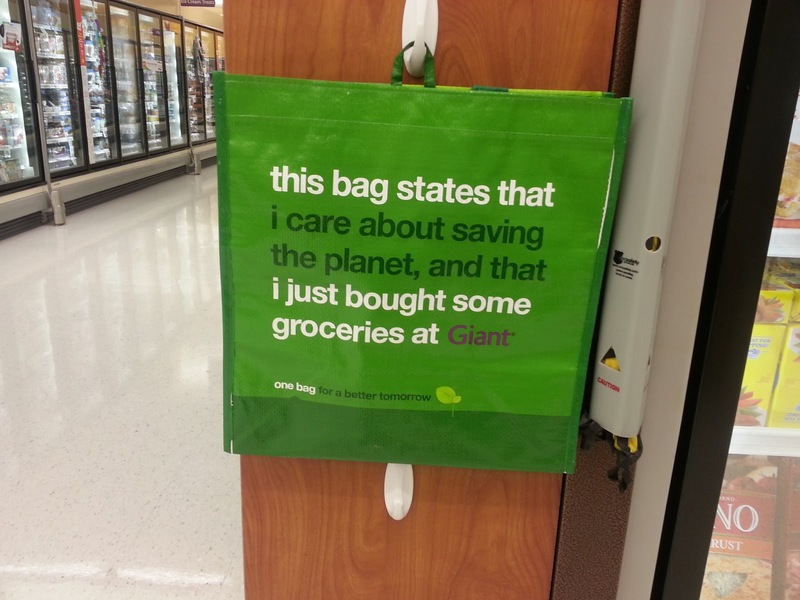 I want to save the Earth as bad as the next guy, but this just makes me want to use plastic bags. Lots of them.